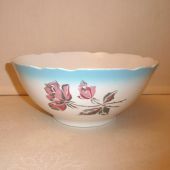 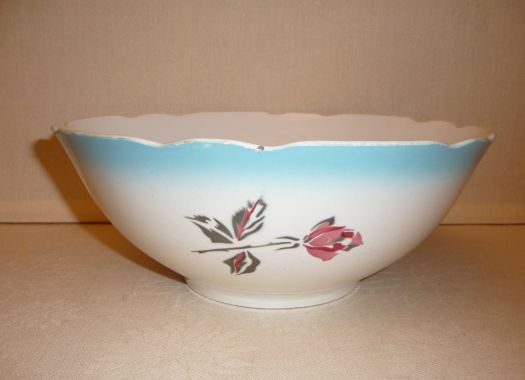 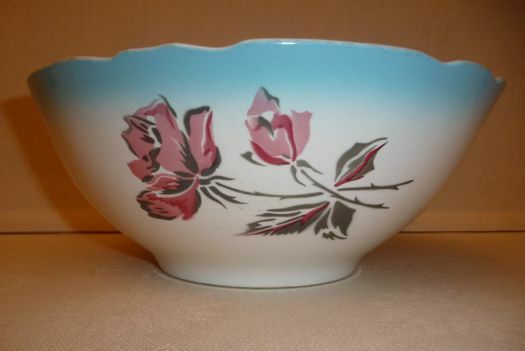 Charming old salad-bowl, with a stylized rose pattern and a nice edge. 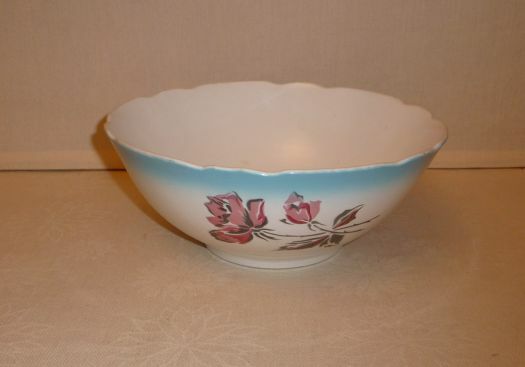 It is in good condition (no stain, no crack, no big chip) but there is a very small chip on the edge and there are some marks inside which show that it has been much used ; but it may continue ! 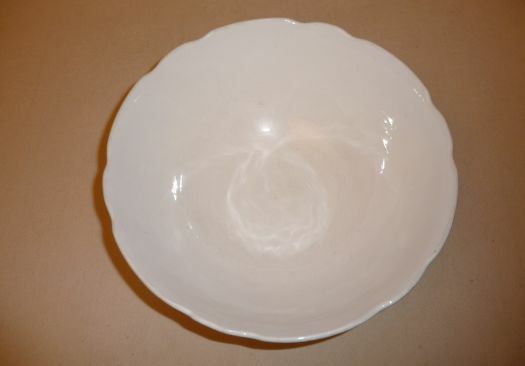 Height 10,36 cm ; diameter 26 cm.